Opening hours: Shops in Annecy generally open from 9:00 to 19:00 (Monday to Saturday), but the smaller ones may close between 12:00 and 14:00 and remain closed on Mondays. On Sundays and public holidays, every shop is closed. Supermarkets opening times may differ depending on the neighbourhood. 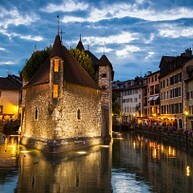 Discovering Annecy is like wandering in a romantic fairy tale. The castle, the gates, the arches are a perfect setting to stroll around. 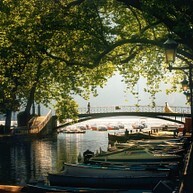 The lovely canals leading to the purest lake of Europe and all the cultural events draw 2.5 million visitors each year. The Palais de l'Isle is probably the most famous building in Annecy and, without any doubts, one of the most photographed sights in France. The palace, built in the 12th century, was once a prison, and today hosts exhibits about local architecture and history. 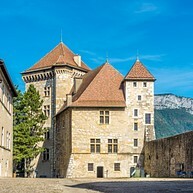 Listed as a historic monument by the French Ministry of Culture, Annecy Castle was the residence of the Counts of Geneva and the Dukes of Genevois-Nemours. Today, it houses the Regional Observatory of the Alpine Lakes and the museum of modern art. From the terrace, you will have a great view over the city and the lake. Legend says that if two persons kiss on the middle of the bridge, their love will be eternal. Created around 1906 to replace another bridge, Pont des Amours (the Lovers' Bridge) links the European Gardens to the Pâquier park. It offers a really beautiful view: on one side, you can see the lake and on the other side, the old town can be pictured. 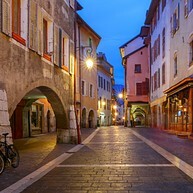 The Vieille Ville (literally "Old Town") of Annecy is not very big but worth a walk. The lovely gates and arches, as well as the backdoors to small and secret streets, are definitely to be photographed. Every corner hides surprises and walking around when it is summer is absolutely marvellous. Around 250 trees, such as a tulip tree, pines and giant sequoia trees, are found in the lovely Gardens of Europe, where you can enjoy a walk by the lake in a sunny afternoon. This romantic English garden, designed by Henri Porreaux in 1863, is a heavenly spot in town where children are free to play from a walking distance to the old town, while you sit on one of the benches in front of the lake. Dominating the city, this cathedral symbolises the rich religious past of the city and gives an indirect insight of the muted power struggle between Calvinism and Catholism. 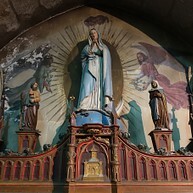 The Visitation Basilica protects the bodies of Saint Joan of Chantal and Saint Francis of Sales, as well as a 38-ton chime, named Marie-Francoise. Welcome to the Pâquier, a big, free lawn located next to the lake in the centre of the town. Given to the town probably by the Count of Menton to hold the military exercises of the young soldiers, it is now a very peaceful area where it is allowed to picnic. This church was built in the late 14th century and definitely worth a visit. 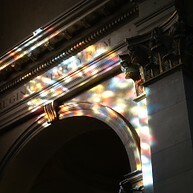 After having seen the lovely garden, take some time to admire its beautiful architecture: you will love the huge marble columns, as well as the stained-glass window's designs. 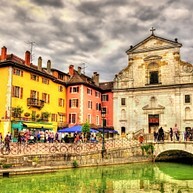 You will find it in the city centre, very close to the Annecy Cathedral. 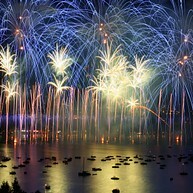 Every year, the first weekend of August, around 200,000 visitors gather in Annecy to enjoy one of the biggest pyrotechnic shows in Europe, the "Fête du lac", which includes 70 minutes of fireworks in rhythm with music, lights and special effects over the lake. Basically, an unmissable experience. This bridge links two parts of the old town and is right in front of the Palais de l'Île. Pont Perrière is a perfect spot for taking beautiful pictures, both when there are flowers on it and when it's decorated with Christmas lights. The Saint-Francis of Sales Church, listed as a historical monument, is located near the Palais de l'Île, across the Thiou river. Even if the facade seems a bit austere, the interior of the church is luxurious: the baroque style exposes its splendour with an organ, paintings and a magnificent altar. This church used to host religious relics, such as the graves of Saint Francis and Saint Joan of Chantal, which were there before being transported to the Visitation Basilica. The Lac d'Annecy is the second largest lake in France. Take a long walk along it, or rent a bike if you're up for a longer tour, and admire the gorgeous scenery of the Alps. It has been an inspiration for many artists, such as Paul Cézanne, who made beautiful paintings of it. Don't miss the Lake Festival, an amazing fireworks show who takes place every year in August. The Cathédrale Saint-Pierre is a Roman Catholic cathedral also listed as a national monument by the French government. You cannot miss its organ, built between 1840 and 1842 by Nicolas-Antoine Lété, an organ builder of the French king. A lot of concerts are organised there, especially in summer. The Venice of the Alps of course deserved its own festival. 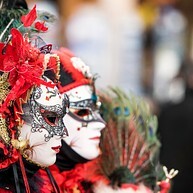 Every year, between the end of February and the beginning of March, masked persons wander into the city and pose on the streets, parades are organised and fabulous costumes are displayed around the city and along the canals. With its 3,5 km of length, the Thiou is considered one of the shortest rivers in France. 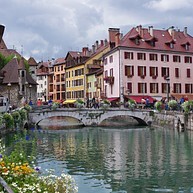 Beside its size, it has a lot of canals which give Annecy its nickname "Venice of the Alps". It crosses the Old Town, with its flowered bridges and its picturesque charm. Every year, in June, several countries compete to become the best animation film, in several categories. 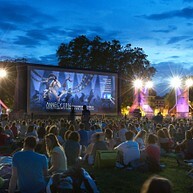 At this festival, which often paves the way to the Oscars and the Palms for animated movies, you can enjoy premieres and benefit from open air showings on the Pâquier lawn.